I’m not sure where to begin this post. Maybe I should start with my Dad. 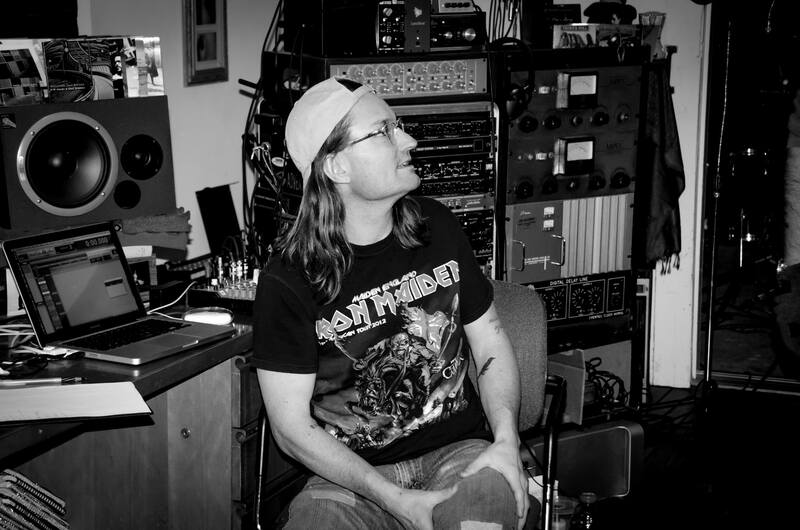 He was a recording engineer for Columbia Records from the ’60s through the 90s. During that time, he amassed a tremendous amount of stuff from them. Whatever they were rotating out or throwing out, my Dad would bring home. When he retired, he and my Mom moved down to North Carolina and he took all that stuff with him. It took up four storage units. After he died, I began to go through all this stuff, but it was a huge job and I found it overwhelming. The storage units were pretty overwhelming. That’s where Fred Gillen Jr. comes in. Fred is a singer/songwriter who’s pretty well known in these parts. He also runs his own studio, Woody’s House. My wife suggested that I approach Fred about making a trip down to North Carolina with me to help sort through this stuff. Between his knowledge of studio gear and the fact that he didn’t have any kind of emotional attachment to the stuff, he seemed to be the perfect choice. 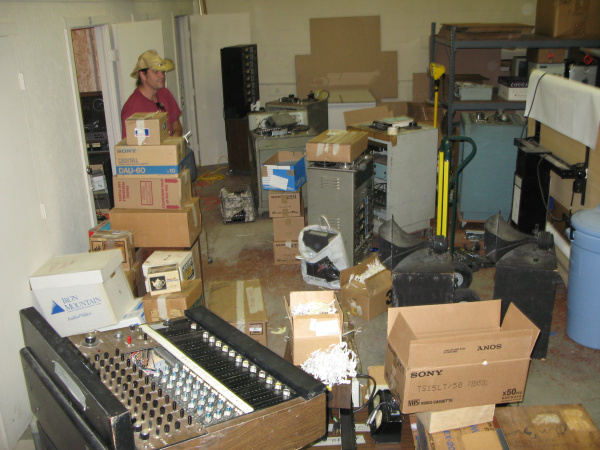 She figured that I could entice him with the promise of some cool old analog gear. There was one slight problem; Fred and I had crossed paths a few times in the local music scene and had even done a couple of gigs together, but we really didn’t know each other that well. I wasn’t sure how he would feel about taking a 14 hour drive to N.C. and then staying in the same room with me at my Mom’s place. Anyway, Fred and I met for lunch and he went for it. You can learn a lot about someone when you’re in a van with them for 14 hours. We talked about music, growing up, former girlfriends and gigs we’d played. All kinds of stuff. We got down there sometime after midnight and got to work the next morning. The rooms were packed floor to ceiling and were dusty and moldy. It took nearly three days to really go through it and decide what to take and what to toss. By the second night, we were exhausted. I plopped myself down in front of the TV. My Mom had so many remotes that I couldn’t figure out how to change the channel. It was stuck on some kind of drag racing show (“Pinks All Out”). Fred sat in the next chair and we watched as Karrie Anne Beebe, the only woman in the competition, took everyone out. While driving a hot rodded AMC Pacer. We were pretty impressed. On the ride back to New York, Fred and I got to talking about high school. I went to an all-boys Catholic school, so meeting girls was a little difficult. Fred said, “Yeah? Well I spent my youth chasing after pretty redneck girls.” That was all I needed. I reached behind the seat and pulled out Fred’s little guitar and got his notebook from his backpack (Fred was driving). Over the next couple of hours, we wrote our first song, “Pretty Redneck Girls”. Inspired by Karrie Anne Beebe, it tells the story of trying to catch three separate girls in their souped up cars. The last one, the girl in the Pacer, blows past him and then picks him up at the next light. When we got back to New York, Fred and I got together to see if we could write another song. It turned out that we could, so we wrote a bunch of ’em. Pretty soon we had an album’s worth of songs. Now we needed a name. We tossed around a bunch of stuff until we finally came up with the very thing that inspired us in the first place; “Hot Rod Pacer”. At first, Fred and I performed as a duo. Our first gig was opening up for Tom Chapin. Our second gig was opening for the legendary Merle Haggard. 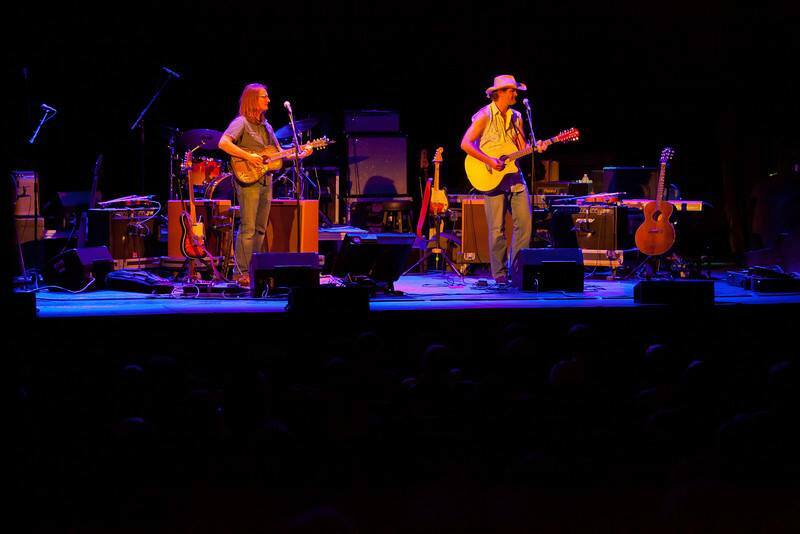 Fred and me opening up for Merle Haggard at the Tarrytown Music Hall in Tarrytown, NY. 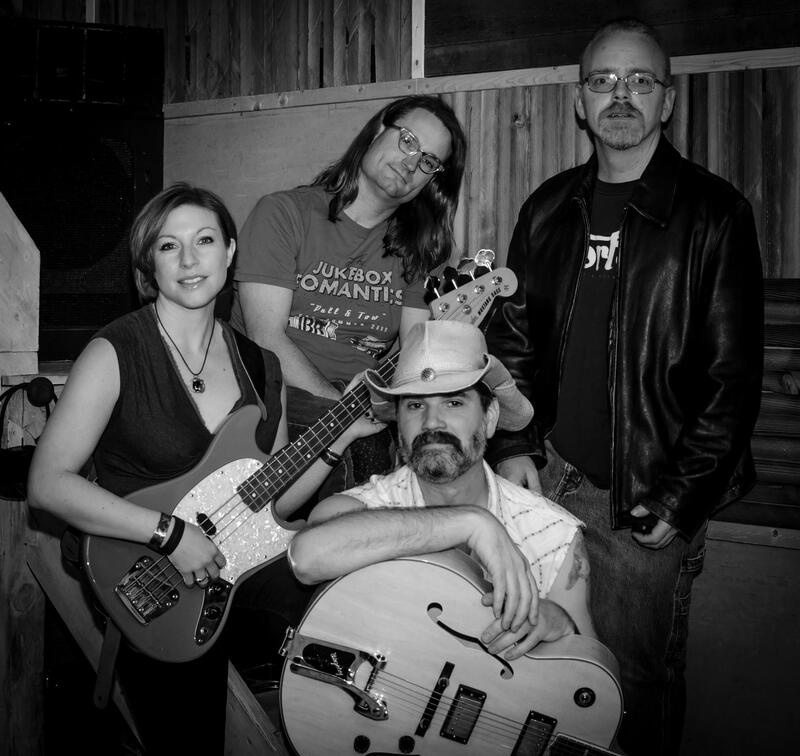 The full band, from left; Debbie Tuzman (bass, vocals), Fred Gillen Jr. (guitars, vocals, songwriter), Jim Keyes (guitar, vocals, songwriter) and Jason Hess (drums). The duo was cool, but we found ourselves wanting more. That’s when we hooked up with drummer Jason Hess and bassist Debbie Tuzman. We got together, played a few times and the full band was born. Over the course of a few months, we hunkered down in Woody’s Place and recorded our first CD (“Hot Rod Pacer”). You can get it on iTunes or CD Baby or come to one of our gigs if we come to your town! In the meantime, have a listen to the song Fred and I wrote on our trip back from N.C., “Pretty Redneck Girls”.